Join us for an afternoon packed full of fine food, sparkling drinks & fabulous entertainment! 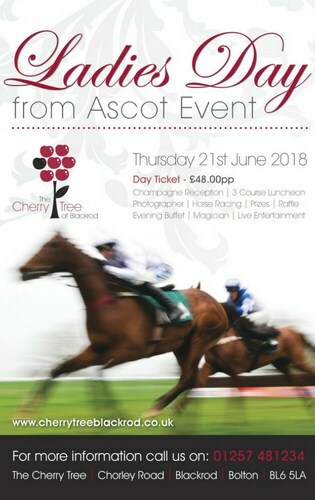 Get the girls together, put your best dresses on & head to the Cherry Tree for a ‘Ladies Day’ to remember! If you would like more information, or to book, just give us a call.